How many potential visitors are finding your website? More websites are created each day and all are in competition for the coveted visitors. Not only do the search engines love content, but visitors do too, and visitors buy. So how do you harness the power of content? Specifically, how do you attract traffic using content? 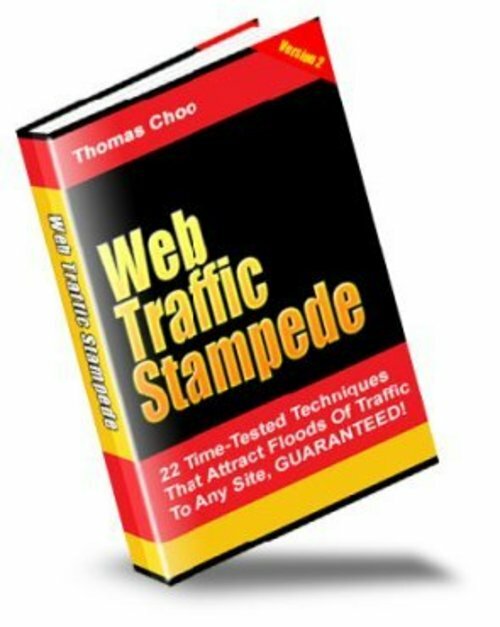 Here are 22 time-tested sure-fire ways to get all the traffic you need. Web Traffic Stampede promotion;traffic 57364780 9.95 freestyle Fresh Download Available!